BRITAIN’S favourite pop-rock band, Squeeze are back with a brand new album and a UK tour including a date at St David’s Hall! The new wave heroes return to the National Concert Hall of Wales on Tuesday 10 October 2017 – and the much sought-after tickets went on sale Friday 9th December at 9am and are selling fast! After rave reviews for their latest album Cradle to the Grave and a storming set at Glastonbury over the summer, the band are now working on new material which will be aired on the Join the Dots tour. Plus, you can expect to hear all the classics including No.2 hits Cool for Cats and Up the Junction as well as fan favourites like Labelled with Love, Tempted, Hourglass and Black Coffee in Bed. Since forming in 1974, Squeeze have lovingly chronicled everyday life with witty and observational lyrics accompanied by the catchiest melodies. Their winning formula has seen their music endure over the last four decades and achieve considerable UK chart success. 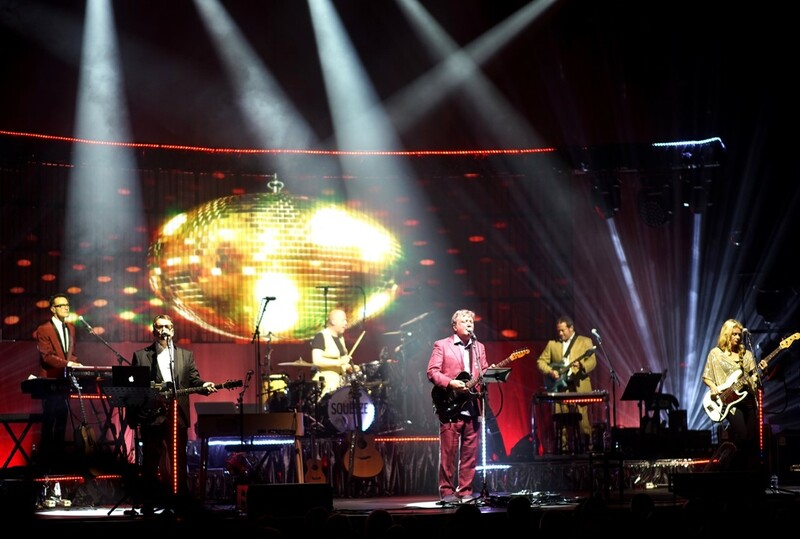 Leading the group are the Ivor Novello award-winning duo of Chris Difford and Glenn Tilbrook, who were first brought together by an ad for the band in a sweet-shop window. Squeeze broke up in 1999 due to the breakdown in the relationship of the songwriting partnership. Thankfully, they fixed that fragile bond in 2007 much to the delight of their loyal fans. Chris Difford said: “I’m excited to say Squeeze are planning a new album release and a UK tour for 2017. “As I put pencil to paper to write some ideas for the next album I have to say how confident I am about our band’s future. Tickets are on sale today priced £32.50 and £47.50 (plus a £3.95 Ticket Service Charge per transaction and an optional 95p postage fee).